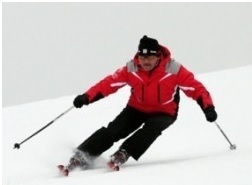 Alpine skiing and snowboarding school DruSkiSchool works according to the Austrian methodic. This is a program of continuous systematic education of alpine skiing and snowboarding. It is based on the Austrian teaching methods. 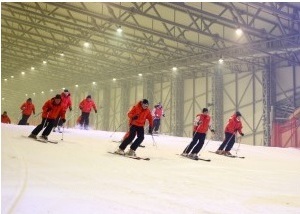 The program is created to give everyone a possibility to learn skiing or snowboarding quickly, correctly and efficiently. There are three components of success: teaching methods, instructor and desire to learn.After just several lessons your skis become obedient and calm and you snowboard does not try to jump out onto the slope. What are the levels of education? The program consists of three levels – initial, basic and expert. First two levels equip you with the basic techniques of skiing and snowboarding, that “construction set” out of elements of which you can then assemble various combinations – free riding, synchronous skiing and snowboarding, skiing down the race courses, etc. It may seem strange to someone that the success in skiing and snowboarding is in our mind. But it is true! 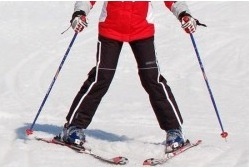 In order to ski and snowboard well one must understand how to control skis or snowboard. In what way this or that almost unnoticeable movement or pressure on some part of your equipment changes the curve. Considering the fact that improvement of skills leads to significant speed increase it becomes evident that knowledge is the basis of success. All our instructors have been trained according to international standards and have certificates of national instructor associations, members of theInternational Ski Instructors Association (ISIA). We have developed a series of courses and workshops during which a student gradually masters the skiing and snowboarding techniques. Each stage is a completed module including a particular set of skills.